It's time for the moment every Toon has been waiting for. You're about to check off a ballot to elect Toontown's newest Toon Species! 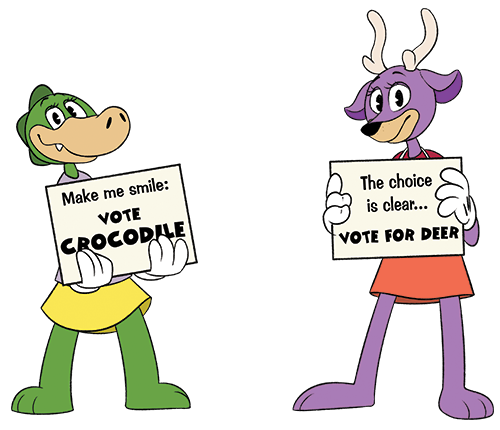 The winner of this election will playable in Toontown forever, so choose wisely. Votes may be cast until 11:59PM Toontown Time (PST) on Saturday, July 22nd. When you're ready to vote, fill out the form below and click "Submit". Don't forget to watch the winner announced LIVE on July 28th at ToonFest at ReplayFX 2017! Only residents of Toontown can vote! Try logging in.